A few weeks ago in our Good Dirt devotions we read the Parable of the Sower, the passage that inspired the title of the book. We had just finished dinner on our back patio, enjoying a warm summer evening together. Per usual, the children’s attention was wandering, so we did a spontaneous outside activity. We have citrus trees in our backyard, so I had the kids run and grab a piece of fruit. Then I asked them to open up the fruit and grab four seeds each. The Parable of the Sower describes four soils: the path, the rocks, the thorns and the good dirt. Armed with their four seeds, I sent them off to find each of the different surfaces and see what happened when they tried to plant them. The path was easiest to find, as the kids threw the seed down on the concrete patio. Next was the rocks, which was mix of wood chips and a few large stones. Then came the thorns–we have rose bushes and blackberries, but that didn’t seem to fit the story. So we decided to plant the seeds among the weeds (those were easy to find in my backyard). Lastly, the good dirt. The children found a soft, loamy section of ground and buried their mandarin seeds there. In our little exercise, the children were able to see the simplicity of the message. Which one of these seeds is more likely to grow? Clearly. the one in the good dirt. It is soft, able to receive both the seed and the water and sun required to nourish it. The path, however, is hardened against the outside world and cannot receive. May our hearts be like the good dirt, able to receive the Word and be changed by it. With only 4 days of school left until summer, the excitement level at our house is running extremely high. I clearly remember that feeling as a child, with all of summer before you. No real commitments, just lots of lazy mornings and free time. Heavenly. As a mom, I’m still excited about summer–especially the part where all of us don’t have to be ready to leave the house by 8am each morning. But there is also a sense of trepidation, and any other mom with school-age children knows exactly what I mean. Because there will be no more alone time for 2 and a half months. There will be two children who become better at bickering by the day. There will be “I’m bored,” “I’m hungry,” and “He hit me!” And there will be a sense that every other “good mom” has daily creative art projects and science experiments and other Pinterest-inspired boredom-busters, all ready to go on day 1 of summer. One of the internet’s favorite ways to deal with all of this is a summer bucket list. Mommy bloggers everywhere are creating chalkboards and signs and printables full of great summer ideas: Camp in the backyard. Have a water balloon fight. Make s’mores and smoothies. Play in the sprinklers. It’s a nice idea, as it gives you something to do when boredom sets in and helps you keep track of all that you hope to accomplish before the first day of school. We’ve made one every summer for the past few years, and plan to do it again this year. This year our family will be adding in some service ideas to our summer list, so that it’s not just about us, but also about ways we can use what we have to love others. What about you? Does your family make a summer list? Any other service ideas to share? Me and my little five-year-old dude had some father/son bonding this weekend over monster trucks and motocross. I had some concerns that it would be not awesome, however. Jon has had sensory processing issues in the past–loud noises in particular have been known to set him off. So as you can imagine, a monster truck show may be problematic. 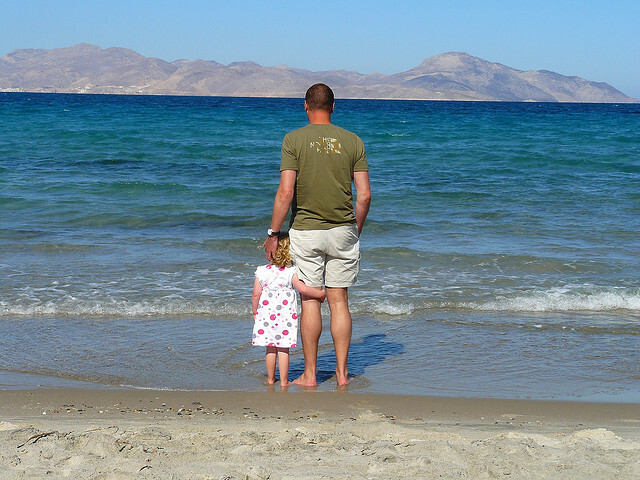 In fact, his inability to deal with sensory issues has kept us from doing a lot of things together over the years–going swimming together, visiting the beach–those kind of typically fun activities ended up being miserable. And it really was the coolest ever. Sure, the monster trucks and motorcycles were cool, but getting to enjoy them with my son? It was one of those moments I’d dreamed of since becoming the father of a little boy. So many of our stories with children seem to carry the refrain, “..if you’d told me a year ago we’d be doing X, I would’ve said no way.” Life is incremental–it’s easy to miss the change when your dealing with the day to day. I see it happen in our daily Good Dirt devotions–from day to day, it can sometimes seem like nothing is getting through, until seemingly out of the blue one of the kids will echo back a truth from Scripture. But in reality, it’s not out of the blue–it’s a truth internalized through consistent communication, all those little moments that can seem like they don’t matter at the time. But those moments matter. Just like monster trucks. I want to write an amazing blog post. I want to write a post that will move you to tears or stir you with conviction. A post with witty stories of cute child-sayings and refreshing words of hope. A post that you will admire and appreciate. But the ink runs dry. Sometimes we’re in a desert land and we don’t know why. A season of drought when we keep trying to plant new seeds but nothing seems to grow. We’re still doing all the “right” things but they don’t seem to have the same impact. Prayers bounce off the ceiling, bible verses fall flat, and fear can creep in. I’ve spent much of my life teaching or mentoring college students, so I’ve seen first hand the fear that often comes along with a dry season. They wonder if they’ve done something wrong and if it will always be like this. But one of the benefits of being almost twice their age (yikes), is that the dry seasons don’t usher in the fear that they once did. Because I’ve been through many dry seasons before and I know they will come and go. More importantly, I know it is often during the dry spells that God is doing a work so deep that we can’t see it yet. One of my favorite bible passages occurs in Exodus, when Moses asks God to show him His glory. And God tells Moses, “When my glory passes by, I will put you in a cleft in the rock and cover you with my hand until I have passed by. Then I will remove my hand and you will see my back” (Exodus 33:22-23). A couple of years ago, I saw this passage in a whole new light when I read Ann Voskamp’s book, One Thousand Gifts. She spelled out a connection I had never made before: It is in the dark that God is passing by. It is in the dark that God is closest. Dark is the holiest ground. I think dry seasons are much the same way. It is only in the looking back that we can see God’s nearness. That His hand was covering us while we waited in the dark. And so I wait, knowing that some day soon, God will remove His hand and I will see His back. And I will know He was there the whole time. I grew up in a church where the communion elements consisted of unsalted crackers and a plastic shot glass of Welch’s grape juice. You can understand how it might be a bit confusing to a 7-year-old boy staving off boredom in “big church” when the grown ups start passing around snacks (“look, the glasses are even kid sized!”) and you don’t get any. Usually we take communion while the kids are in Sunday school, but this past week we were celebrating the end of a series we’d been studying as a congregation, and all the children stayed for the service. So for the first time, our kids got to see the grown ups taking communion. We weren’t really prepared for the “can I have some, too” question. I know my little girl believes in Jesus, but the timing didn’t feel right. Both Carolyn and I attended a class as children prior to taking our first communion, and I think there should be some kind of reflection prior to partaking in communion for the first time. There is a reverence and respect for the Lord’s Supper, even at a church where flip flops and shorts are acceptable attire. At the same time, it shouldn’t just be a head-knowledge quiz where a passing grade gets you a seat at the table. So as Carolyn and I have wrestled with the question, “when is it appropriate for our child to take communion?” I’ve begun to cobble together a rough set of criteria to help guide the process with our kids. Have they confessed Jesus as their Lord and Savior? Do they understand the significance of communion? Is their faith their own? I don’t think there is an exact age we can point to–in fact, I think it’s likely that our kids may start taking communion at different ages. For us, though, it’s going to start with a conversation when they’re ready and seeking; this year, we’re using Passover as an opportunity to explain the significance of communion and help our daughter make the connection. What about your family? How have you made the kids and communion decision? We don’t travel long distances very much–partly because we’ve had young kids for the last 8 years, partly because we’re definite homebodies, and partly because we already live in the most beautiful place in the world. But this past week we spent on a Disney cruise in the Caribbean, thanks to some very generous grandparents and a willingness to venture out of our comfort zone. And you know what I discovered? My view of God is so very small. I like to take classes, read books, do family devotions like Good Dirt–all things that help expand my definition of who God is. I learn about God’s character, and I remind myself often that the God I serve is loving and generous and trustworthy and good. And yet every time I travel, I realize “my god” is still so very small. I know the God who travels back and forth to my kids’ school with me 6 times a day. I know the God who helps me with my children and joins me while doing laundry. I know the God who exists in San Luis Obispo and that He loves the people here. 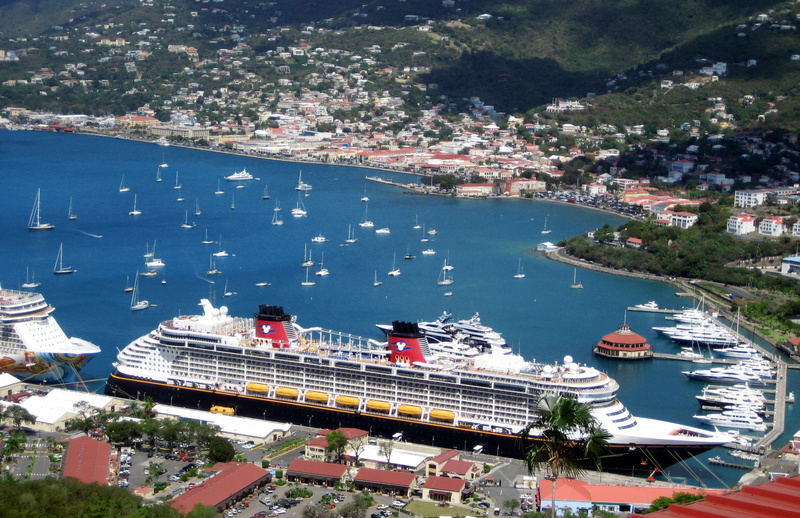 But it is so easy to forget that “my god” is the very same God who loves rich people on Disney cruises. And He is the same God who loves people barely scraping by with servant jobs on Caribbean islands. And He is the same God flying with people in airplanes all over this world He created. He is capable of loving and being with every one of us at the same time. My God is so much more than I allow Him to be most of the time. A few weeks ago, my daughter asked me if five people were praying at the same time, could God hear all of them? Her definition of God is too small, just like mine. I told her that if five billion people were praying at the same time, God could still hear all of them. Even as I said the words, I knew it was next to impossible for me to believe, and I knew the look on Lauren’s face said she doubted it, too. My prayer is that our family devotion times will expand our view of God, and help us to see more of who He is. We’re about a quarter of the way through our year-long experiment doing family devotions together (almost) every night, so I thought I’d check in with our 8-year old, Lauren, to get her take on how it’s going. Here’s what she had to say. 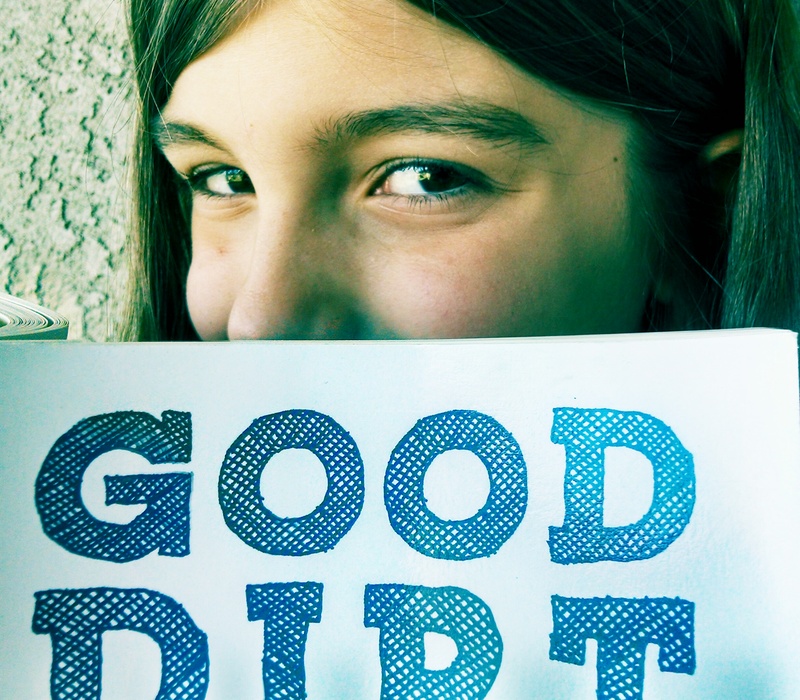 What’s your favorite part of Good Dirt so far? I like answering the questions you ask, because I like knowing the answers. Knowing the answers makes me feel good. That we do it during dinner time, because I have less time to do the dishes. Which activity do you remember most? Cutting off Daddy’s ear! We were acting out the part in the story where Judas betrays Jesus and the one guy cut off someone’s ear. I was pretending I was Jesus and Jon was the one who cut off the guy’s ear. Jon used his sword and pretended to cut off Daddy’s ear, then Daddy threw a fake silly putty ear on the ground and started screaming and yelling “Ahhh, my ear got cut off!” I was supposed to heal his ear because I was pretending to be Jesus but I was laughing too hard. You’ve done quite a few drawings for Good Dirt. Any of them stand out? I remember making a picture of a horse. It was when they were getting a pony for Jesus to ride on. Jesus was riding on a pony because it was Palm Sunday. What’s one thing you remember learning from Good Dirt so far? Learning that Jesus heals people, even people who interrupted Him. Jesus loves everybody. 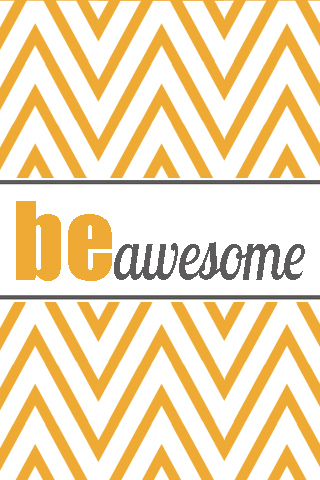 For about a year, the wallpaper on my phone said simply 2 words: be awesome. As cheesy as it is, there was something about that phrase that struck me–in a good way. Because there are so many things in this world that aren’t awesome, and yet they are able to take up so much of our time, money, and thoughts. It was my reminder every time I turned on my phone to return to what is awesome. 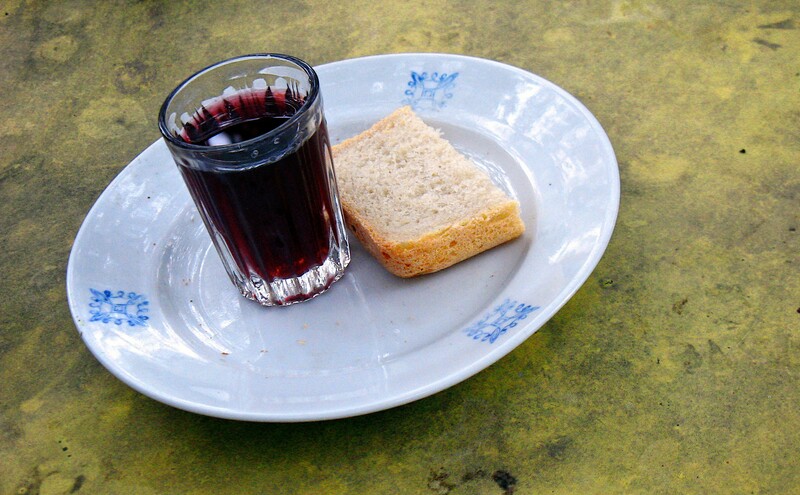 Now, this blog already has some awesome explanations of what Lent is and how to celebrate it with children, so I won’t repeat all of that here. But I can tell you the answer I gave to my daughter. I fast from something in Lent because it is an opportunity to let go of something that isn’t awesome. Something that has crept into my life and taken over in a way that keeps me from living my best life with God. It’s a chance to create a new habit or give up an old one and turn our lives back in the direction we’re wanting to go. Because everything is not awesome, and we have the ability to choose what will be a part of our lives. So what am I giving up for Lent? In a word, shopping. If you know me in person, this may surprise you, as I am a fairly… frugal person. But giving up shopping for Lent is more about my time and less about my money. Because, as a homemaker, much of my responsibilities involve spending our money in the best possible way. And a cheap perfectionist can spend hours trying to find the absolute best deal on everything. So I have found my days have gradually become more and more about searching for deals and coupons online, driving around to different stores to buy everything at the best price, and even occasionally rewarding myself by wandering through the aisles of Target or World Market while the kids are in school. And while I don’t think any of those things are necessarily bad in and of themselves (and it is certainly important to be good stewards of our money), they are not the best way for me to be spending so much of my time. I think God is far more concerned with how much time I spend with Him and serving others than with how many dollars I saved on my last shopping trip. So I am receiving Lent as an opportunity to make changes in my life. I will still do the grocery shopping every week (because it’s my job!) and I will still buy the necessities that my family needs. But no online shopping for me, no window shopping, and no hours spent in search of the best possible deal ever. I see it as a chance to take back some of the hours in my day and an experiment in being more awesome. What about you? Have you asked God what He would like you to give up for Lent? Are your children participating this year? I really would love to know–and feel free to ask me how the shopping fast is going. Have a blessed Lenten season.